10 Ways to Reset Your Kitchen for the New Year! 1. Scour your pots and pans. Yes, I’m actually telling you to scrub your dishes when you haven’t cooked anything in them — and we’re talking the kind of work that requires elbow grease. Even when well-washed with dish soap, frequently used stainless pots and pans get patches — especially along the sides, edges, and exteriors, where cooked on fats tend to stubbornly cling. 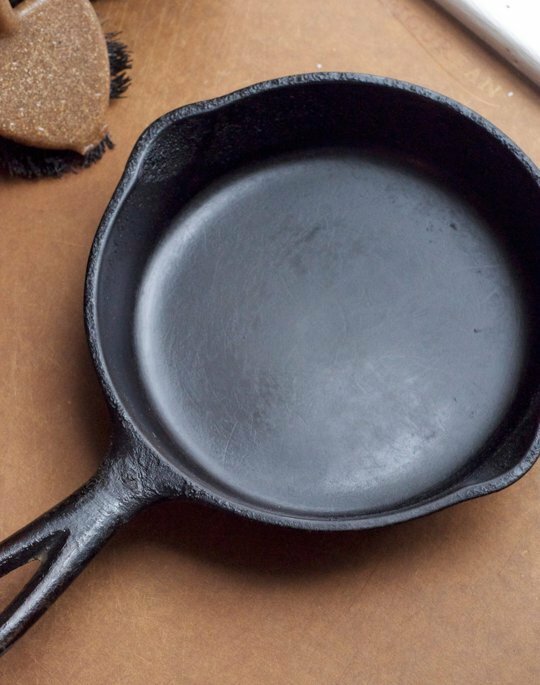 Steel wool can scratch, so instead pick up a non-abrasive sponge and a mildly abrasive product or baking soda, and get in there for a thorough scrub. 2. Clean or change your stove vent fan filter. Whether you have a fancy range hood or the classic apartment vent fan that blows exhaust directly into your face, it could use a fresh start. The good news is that a fresh start requires little more than a kettle of hot water, a dish brush, and some soap. If you don’t remember the last time the filter was changed, it’s probably worth picking up a new one at your local hardware store or online. Check your owner’s manual. If you’re in a rental and there’s no manual to be found, look up into the range hood; there’s likely a sticker to tell you the serial number of the filter you’ll need. Whether sputtering grease from a Christmas goose, overflowing pie filling, or bubbling green bean casserole, there is likely something spilled onto the floor of your oven right now. You can, if your oven has this option, run the oven cleaning cycle or use a combination method that pairs a solvent and some scrubbing. Pick up some all-natural grill and oven cleaner, baking soda and vinegar, or — in really tough cases — ammonia. 4. Treat your wooden tools. 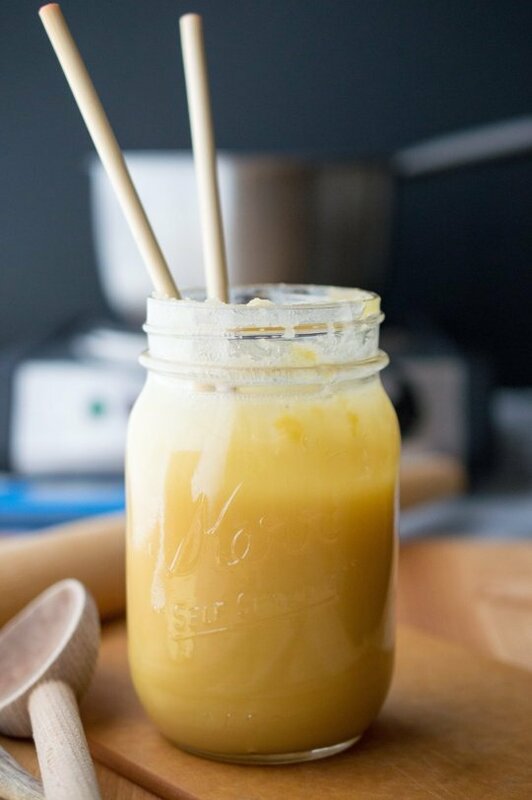 Think of this as massage time for some of your most beautiful and beloved kitchen workhorses: your wooden spoons, cutting boards, and wooden-handled knives. Wash them by hand and towel dry them thoroughly; then apply mineral oil or, in dire cases, equal parts mineral oil and food-grade beeswax, melted together and allowed to cool until thickened. Rub either into the edges of your boards and tools and allow them to sit overnight. Buff any excess oil or balm away with a fresh towel the next day and your tools will be glossy, smooth, and ready for anything. 5. Deal with your drawers & edit your tool collection. The drawers closest to the kitchen counter tend to catch crumbs, and pulling everything out to clean them is a great chance to assess your kitchen tools. Before you return things to the drawer, be honest with yourself about the last time you used them. Chances are that the pastry blender, julienne peeler, candy thermometer, and cherry pitter probably don’t need to be in your most easily accessible storage space. There’s nothing wrong with storing these occasionally used tools elsewhere — even out of the kitchen. Garlic press you never use? Duplicates of anything? Donate them. Your drawers will be less cluttered and your tools will be more of a pleasure to use. 6. Change your water filter. The first week of the year is a great one for updating things that need to be done periodically, like replacing the filter in your water pitcher, and giving the pitcher itself a thorough wash. Recycle the old filter, get a new one going, and set a reminder on your calendar to do it again in three months. 7. Clean or replace dishwashing tools. Freshen your scrub brush with a trip through the dishwasher, or soak the bristle end in distilled white vinegar for an hour or two and then hang to dry. While you’re at it, boil your dish rags and then wash and dry them as usual. If you’re still on team sponge, this is not the time to microwave. Get a fresh one and resolve to squeeze it dry after each use. No matter what kind of dishwashing tools you use, assess them honestly and replace them if it’s time. Having a clean slate is a great incentive to keep things nice beyond January. If you’ve got a dishwasher in your life, it likely saved you from hand-washing countless plates after parties this holiday season. If so, you owe it some spa time. 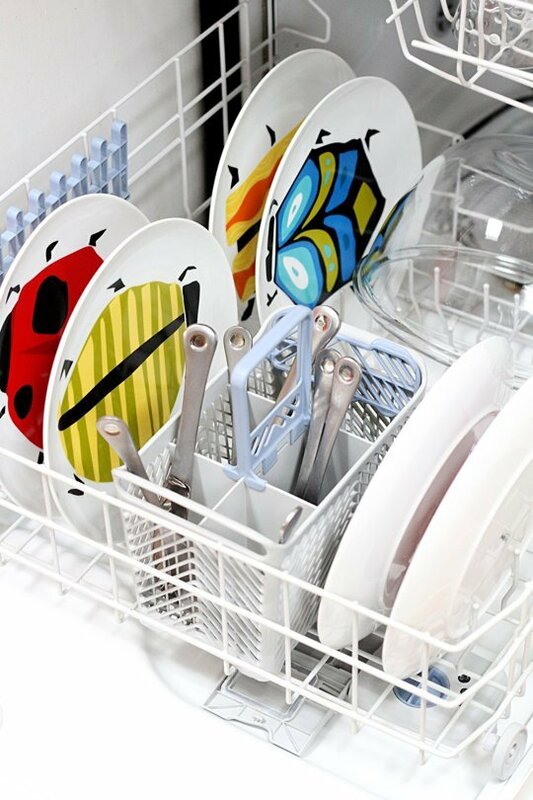 Deep cleaning your dishwasher isn’t even an arduous task: Clean the filter, give forgotten spots a good wipe-down, and run a cycle with some vinegar. 9. Clean your garbage disposal & microwave. What’s the best way to clean your microwave? With a lemon, some water, and a dishtowel. What’s the best way to clean your garbage disposal? With a lemon, a few ice cubes, and a handful of salt. Get the most out of that lemon by completing these two tasks in succession for a kitchen reset you can cross off the list on a weeknight. 10. Deep clean your refrigerator & freezer. Perhaps not the project to take on after a long day — this is a tedious one with a big payoff. It’s time to tackle your refrigerator: Pull everything out of it, stowing any truly temperature-sensitive items like meat or dairy into a cooler. Throw away or compost tired leftovers; condiments; and forgotten half-empty jars of jam, pickles, or anything else you won’t actually eat. Be ruthless. 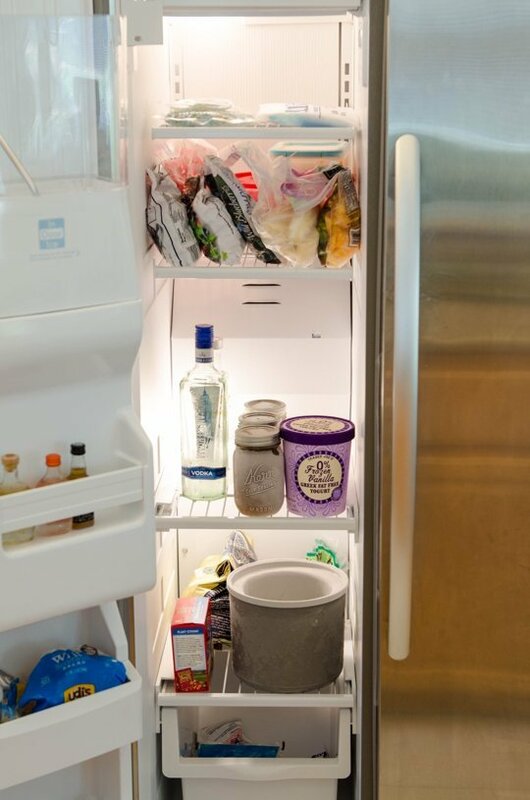 Then follow our guide to truly clean your refrigerator. Repeat this process with your freezer. Treat yourself to fresh boxes of baking soda to keep in the doors of each to absorb aromas.